This is my favorite end-of-year math project! Students decorate 3-D shape "nets", then assemble and hang them from a hanger to be a mobile. 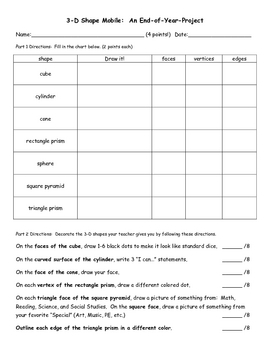 It's a great way to review the year and assess the properties of 3-D shapes at the same time. Can also be easily adapted for other times of year.